Texas is one of 17 states in the United States that has a deregulated electricity market. This is a type of market that allows the customer to have many options and more freedom when it comes to their electricity. In a deregulated electricity market there are two main players that get your electricity to your home: retail electricity providers (REPs) and transmission and delivery utilities (TDUs). In this case, companies like Payless Power are retail electricity providers. When thinking about where your electricity is coming from it is important to know that retail electricity providers are the middlemen between the consumer and TDUs. For example, the power lines and wires are owned by the TDUs and REPs are responsible for providing the electricity to customers. Deregulated electricity markets aim to achieve affordability, and retail electricity providers help make that possible. Here are ways you can use the open market to your advantage. There are tons of advantages of Texas’ deregulated electricity market. One of the biggest benefits of Texas’ deregulated electricity market is the option to choose your retail electricity provider. Because a deregulated electricity market gives you the freedom to choose, companies are forced to offer more competitive pricing to retain their customers. This benefits customers by generally keeping costs lower than in areas with regulated markets. This open market strategy allows you to continuously look to bettering your electricity experience by weighing competitors for differing prices. If you are ever in the process of changing retail electricity providers, you do not have to worry about a lengthy process or loss of electricity. The open market of Texas’ deregulated electricity market allows for switches to normally occur within a week, all the while never losing electricity. If you are someone who prefers to work with environmentally-friendly businesses, Texas’ deregulated market makes that possible. Many retail electricity providers offer completely “green” options, giving customers more control over their impact on the environment. The development of green energy sources in Texas can be seen in the development of wind energy in the state. Over the past decade, Texas has become one of the leading examples for wind energy use. Texas has had great success with renewable energy, which has driven the cost to the consumer down and driven up the interest REPs and TDUs have in harvesting this kind of energy. In a deregulated and more competitive market, many retail electric providers offer incentives in order to stay ahead of competitors and keep customers happy with their services. By simply paying your bill each month or maintaining your monthly balance, you are able to get the most out of this free and open market. REPs give customers the ability to choose their contract length and how they want to maintain their payments. Along with the flexibility of a deregulated electricity market, Texas customers have access to smart thermostats and rewards programs. Texas’ deregulated energy market has given providers the opportunity to distinguish themselves from other providers, ultimately giving consumers a higher chance to having the best experience possible. 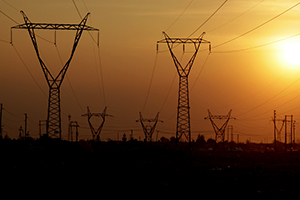 What is your favorite benefit to Texas’ deregulated electricity market? Share with us on Facebook!